Shamans have been around since the dawning of time. Wise Men & Women who communicate and understand the Universal laws of life, death and the constant cycle of life. Often revered and frowned upon, simply because to be and live as a Shaman, means to connect with the unseen forces of this world and other realms, rather than bow down and adhere to another’s indoctrinations and teachings. 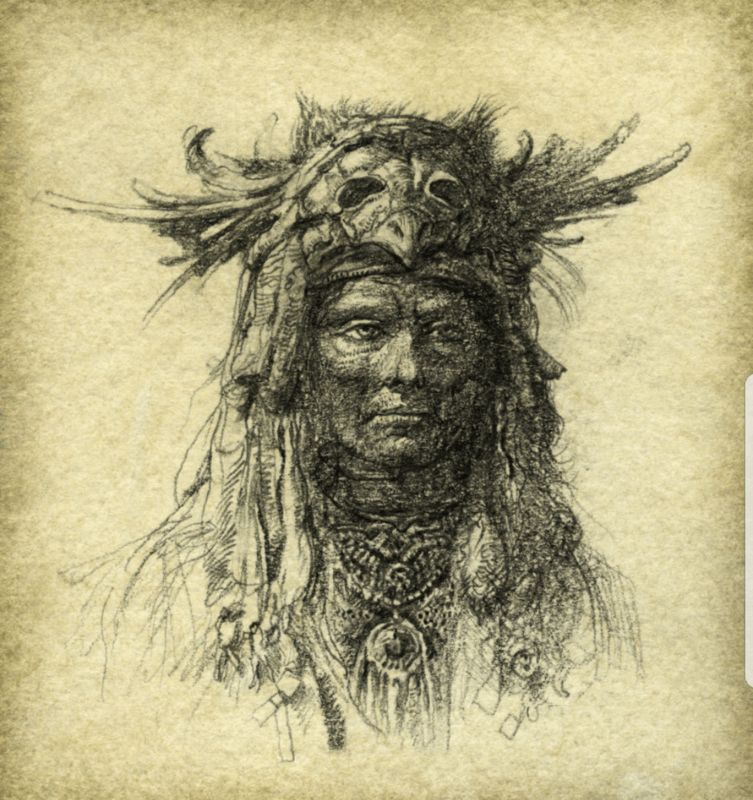 Basically a Shaman will, for the most part, work alone and in doing so, they connect on a much deeper and intrinsic level with the ways of the world, almost shunning the enforced ways of others. 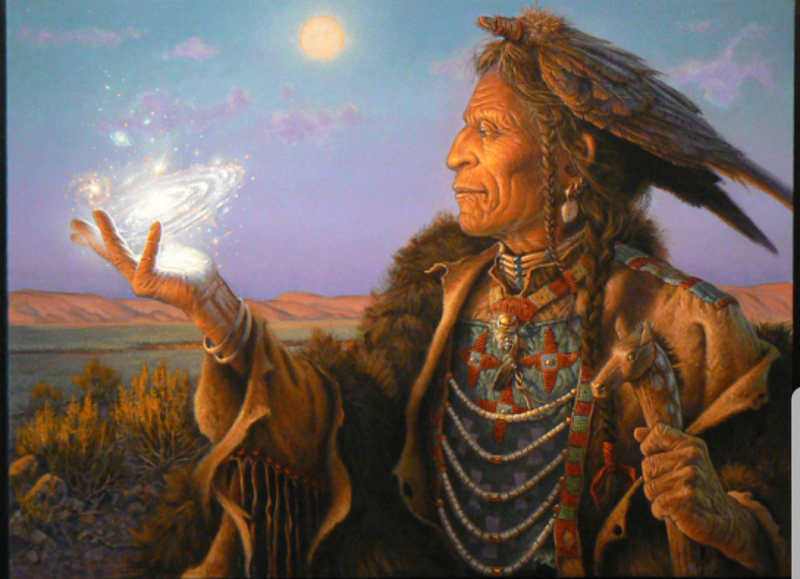 Throughout history the Shaman has been used and called upon for a vast array of answers that aid people and the communities they live within, from assisting in the birthing of new-born children, seeking new places of settlement, walking onto battlefields to quell the fighting, communing with the deceased to receive clarity, answers and insights. Along with an infinite amount of other qualities, the Shaman knows, senses and feels the natural ebb and flow of life, death and away from the distraction of others and their rulings, is free to access many realms in the quest to acknowledge the questions and answers that will aid them greatly in their understanding and comprehension of life and all that is contained within and without this world and universe. Many esoteric groups and beliefs, follow teachings and rulings that have been put in place by others, no different really from the mainstream churches that so many strive to break free from, yet unfortunately they still end up bowing down to another’s beliefs and often follow without question or reason. We can only truly gain wisdom, clarity and knowledge by breaking free from the harsh ways of the dogmatic system which many are enslaved to and fight to hold onto, endlessly following and obeying, hearing without listening and forming part of the endless flock of Yes Men & Women. Having never been able to follow and adhere to another’s way of life I set out from an early age to seek answers to a multitude of questions I had going around in my head. Throughout my life I have tried to follow, simply because it is so much easier and you don’t have to think. Each time I have had to walk away and return to my own way of life, seek my own answers and understand life, death and the world around me on a more natural, deeper and real sensing and awareness. All of the answers I have been seeking and still seek are within me and from this understanding, through deep soul journeying and transcendental meditation I know I will find them and have them answered. From communing with dead people and talking with the animals at a very young age, I find it extremely warming and soothing that now in my late 40’s, I have returned to that state of mind and being, yet now I am better equipped to understand and acknowledge this gift that I was born with, its just now I can let it naturally and freely flow and that my path as a Shaman is not new to me, I just embrace and live it daily now.